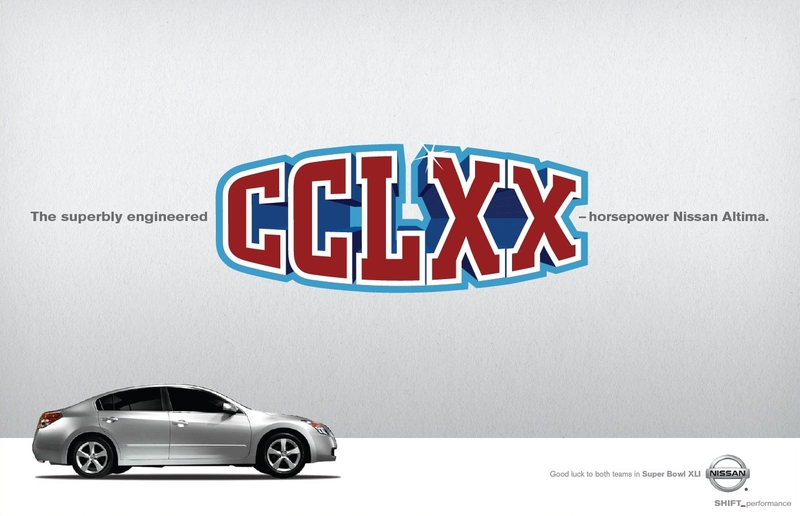 While those in the NFL might take issue with this Nissan Super Bowl good luck ad which uses a roman numeral style that looks very similar to this year's Super Bowl logo design, we really like the approach. We're not sure this ad actually appeared anywhere but we're told it was created by Curt Detweiler and his team at TBWA\CHIAT\DAY LA. Here's a second version of the ad.